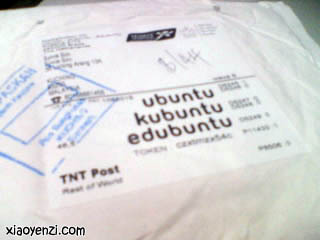 Earlier end of last month, I mentioned about ordering a free Ubuntu Linux CD. And today I finally received it. ^^ Happy!! 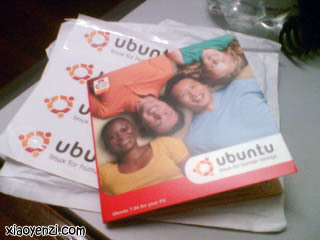 This time is a newer and for the mean time the latest version of Ubuntu Linux (version 7.04, unlike the one I downloaded earlier which is version 6.06) Since I already installed Ubuntu Linux 6.06 to my PC, I will make this CD one of my collections.